2. Schedule your Google Virtual Tour shoot with one of our Google Street View | Trusted Photographers. 3. Share your business with the world! Enhance your presence across Google with a premium quality, 360º virtual tour powered by Street View technology. It’s simple, fast and affordable. Google has created a new way for businesses to be seen, based on their “street view” mapping technology, known as Google Virtual Tours. To assist in this effort Google has trained photographers, and agencies alike, to capture multiple 360-degree panoramic photo shots of a business or storefront to create an easy-to-use interactive tour that can be seen 24-7, from anywhere in the world. What will a Google Street View | Trusted Tour do for my business? Generate more walk-in traffic for your business, stand out on Google search results and captivate smartphone and tablet users. Contact us now to book your business for its photo shoot! Q: Why get Business View? A: Invite customers inside to experience your business’s ambience and décor with familiar Street View navigation and add premium-quality photography to your presence across Google. Q: Where do people see Business View? A: Business View appears in Google Search results, Google Maps, and Google+ on desktop, smartphones or tablets. You can also embed Business View on your website, and track engagement with Google Analytics. Q: Who owns the right to the images of my business? A: You do! You will receive high resolution still images to use as you wish on websites, social media, brochures, print advertising, etc. Q: How long after I order my Google Street View | Trusted Tour will the tour be live on Google? A: If you already have a Google Street View | Trusted Page, the whole process should only take a few weeks. 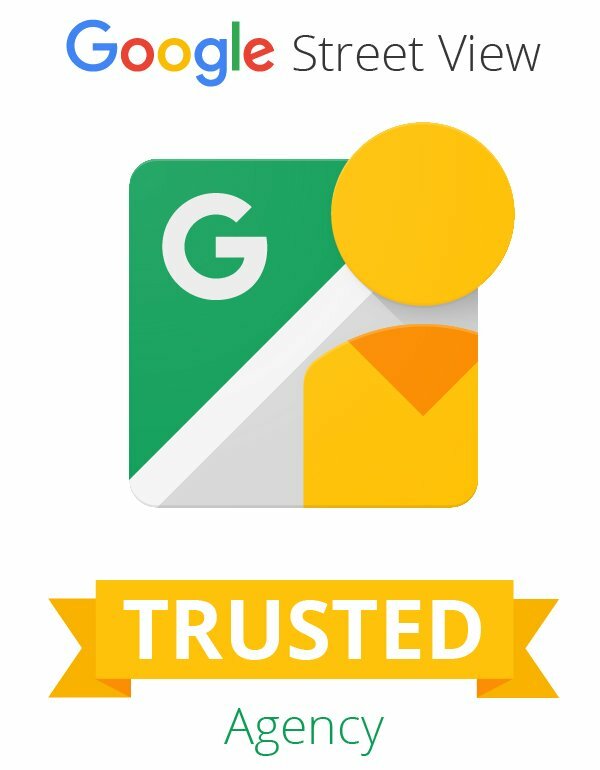 If you have yet to apply for your Google Street View | Trusted Page, it may take longer based on Google verifying the ownership of your business view page.